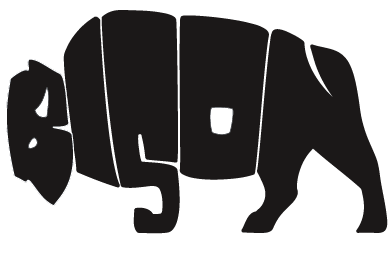 Welcome to Bison Gun Works! ​​​I am getting around to revising my website, please check back often to see the revisions and updates! Let me give you some back ground on how I get here. I have been in the shooting sports for more than 50 years. Hunting, shooting and reloading have been a part of my life since I was a young boy. I retired in 2014, closing my Commercial Refrigeration and Food Service repair business so I could devote more time to Hunting, shooting and reloading. I open Bison Gun Works LLC to fuel my hunting, shooting and reloading. I put up this website and started listing some of my barrels on Ebay. I am now officially unretired. ​I have always seen the need for affordably price replacement barrels for guys like me who want something better than mass produced OEM barrels, but don't have unlimited budgets. These are the guys I am targeting with my barrels, I build each barrel as if it were mine and I was going to shoot it, each one is setup concentric in my lathe, with quality being my first concern, I don't get in a hurry. ​I use Green Mountain Rifle Co. and X-Caliber for most of builds unless the customer asks for something else. The GM barrels I have built have given excellent results, they are button rifled, stress relieved, precision air gauged to .0002", which is comparable to many of the top of the line blanks. X-Caliber blanks are button rifled, stress relieved, precision air gauged, and hand lapped. I use the same techniques and care that are used to build the match grade barrels, these barrels will out shoot me and most other shooters. Having said all of this I do not guarantee accuracy, to many variables beyond my control, but I do guarantee my work. ​We will work out a solution. Check out my reamer list and order pages.